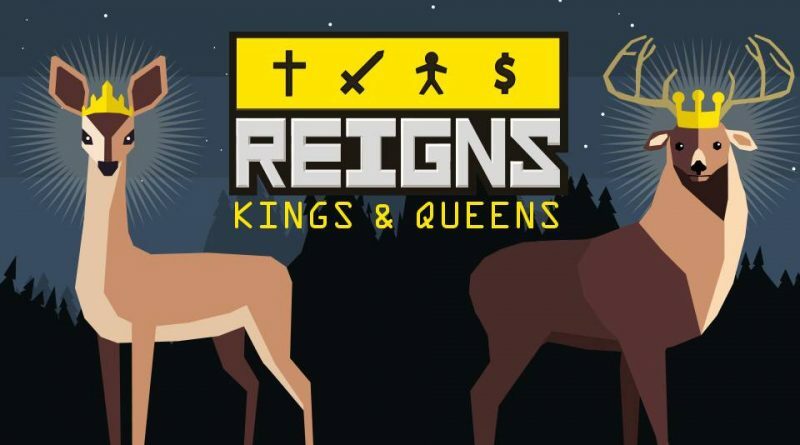 Nerial and Devolver Digital have announced that Reigns: Kings & Queens is available now on Nintendo Switch digitally via the Nintendo eShop for $7.99. Reigns: Kings & Queens brings together dynasties of the original Reigns and its hit sequel Reigns: Her Majesty in one regal noble presentation for the Nintendo Switch. Sit on the throne as a benevolent (or malevolent) monarch and swipe left and right to impose your will upon the kingdom. Survive the never-ending gauntlet of requests from your advisors, peasants, allies, and enemies while maintaining balance between the influential factions of your kingdom. But beware; each decision you make might have implications and unfortunate consequences down the road that could put your reign and family’s dynasty at risk.